This comprehensive 2.5 hour classroom instruction builds well-rounded notary skills for applying and newly commissioned notaries. It provides an excellent refresher class for seasoned notaries. Recommended: ALL Virginia Notaries including non-resident VA Notaries. What is Notary Error & Omission insurance? Notaries can be sued. 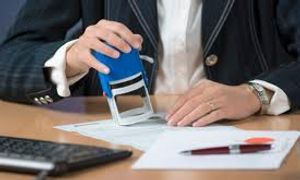 Safeguarding your notary tools - be safe, not sorry. Mobile Notary - can you become one? What is an electronic/remote notary? Live, Interactive Instructor-led Virtual Notary Classes are available monthly.